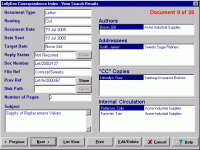 Unique Explorer style software reports sizes and numbers of folders and files. It can also help you find files not used in many days and can produce a nice printout of the folder contents. See how your disk space is distributed in various folders and files. Get a list of files not used in many days. 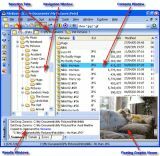 List or print folder contents in ways not possible with Windows Explorer. ShowSize is the next generation software that can process terabytes of disk space and millions of files. 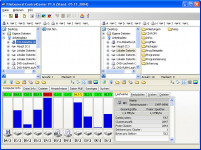 An Explorer style interface gives detailed reports on the Folder Sizes and wasted space in partial clusters. A Pie Chart display is available. You can customize the report with features like sorting, filtering and column drags. ShowSize scans are fast! 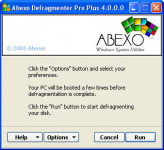 Many Windows NT managers are already using it to scan and monitor very large network drives. Use ShowSize and you will be able to identify the larger folders easily. 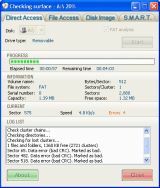 When you need to free up some disk space, just drill down within the folder using various techniques available in ShowSize. You might recognize stuff that you use no more--the files which are taking valuable disk space. For instance, you might discover those big unused folders, wasting 600 MB of space on your disk! Or, you may discover all those ZIP files you downloaded and forgot to delete, taking up 250 MB of your precious space! With that knowledge, you are in a better position to make room for new software and data.